Thanks to Ciara for sharing her personal experience of how Homeopathy helped her overcome emotional challenges of panic attacks, anxiety and depression. “I first visited Eileen 6 months ago and I was suffering very badly with anxiety, panic attacks and maybe depression was setting in too. I’m a single mother, I’ve had a lot of grief and loss of family and friends in my life and I had recently lost my job. I couldn’t eat, sleep, go outside and most days even brushing my teeth was a task. With my panic attacks, I had difficulty breathing, I could hear my heart beating so fast, I had knots in my stomach and I was shaking. Heart palpitations were almost constant and I had at least one panic attack a day. I was living in major fear of having a heart attack. I visited my doctor who immediately put me on anti-depressants. These didn’t agree with me. I felt they made me worse and I honestly didn’t want to take them. I tried everything, rescue remedy, calming teas and took Kalms to try and ease the anxiety. I eventually heard of Homeopathy and decided to go. Eileen is such a lady. She put me so at ease straight away. She listened and guided me. After my 1st session I felt a little lighter just by talking. During the last 6 months of visiting Eileen (generally once a month) and taking homeopathic remedies which are all natural and non-addictive, I can finally see the light at the end of a very long tunnel. I have started going out more, I am sleeping at night and I haven’t had a panic attack in 4 months!! I’ve come such a long way to were I was and I’m so grateful to Eileen”. 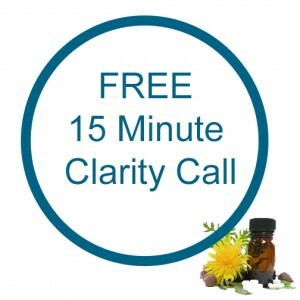 Like to know more about resolving anxiety and panic attacks naturally? If you would like to find out if I can help you with similar symptoms, or you’d like more information on my Stress and Anxiety Relief Programme, why not book yourself a complimentary call here, or email me to schedule an appointment. Learn about the Top 5 Homeopathy Remedies often used to help banish anxiety when you sign up to our newsletter with tips and offers!